The principle of a global cost cap has been adopted. The limit will be applied from January 2015. 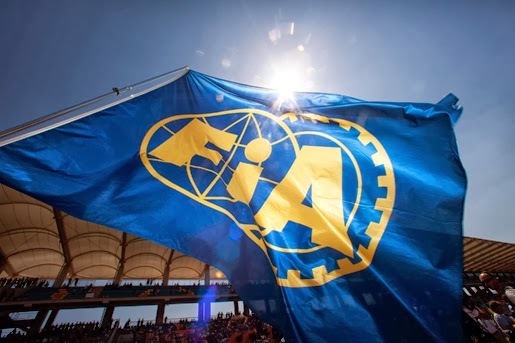 A working group will be established within the coming days comprising the FIA, representatives of the Commercial Rights Holder and Team representatives. The objective of the working group will be to have regulations approved by the end of June 2014. The F1 Commission agreed to a change to the 2013 Sporting Regulations, on safety grounds, allowing the Formula One tyre supplier to carry out a three-day test in Bahrain from 17-19 December, 2013. All Formula One teams have been invited to take part in the test and six have accepted: Red Bull Racing, Mercedes, Ferrari, McLaren, Force India and Toro Rosso. Drivers will be asked to choose their race number, between 2 and 99, for the duration of their career in the FIA Formula One World Championship. Number 1 will be reserved for the current World Champion, should he choose to use it. If more than one driver chooses the same number, priority will be given to the driver who finished highest in the previous year’s championship. Double drivers’ and constructors’ points will be awarded at the final race of the Formula One season in order to maximise focus on the Championship until the end of the campaign. The principle of a five-second penalty for minor infringements was agreed. In what form such a penalty will be applied will be discussed with Formula One’s teams in order that a new regulation be introduced for 2014 season.